Apple is not working on an airplane, but it does want to take over the business world. 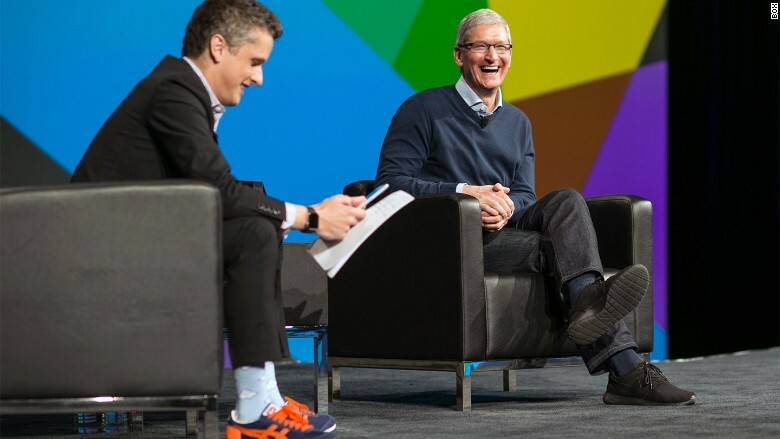 Tim Cook and Box CEO Aaron Levie sat down at the Boxworks conference on Tuesday to talk business. Specifically, Apple (AAPL)'s push to make its products appeal to large companies. "This is not a hobby," said Cook. He said that enterprise is a $25 billion business for Apple, not including people who bring their own smartphones and tablets to work. To appeal to larger firms, Apple has been teaming up with some surprising partners, like Microsoft. "I'm not a believer in holding grudges. Life is short, we're going to die soon," said Cook. Apple CEO Tim Cook and Box CEO Aaron Levie talked about Apple's plans for business customers at the Boxworks conference in San Francisco on Tuesday. Apple is working with IBM (IBM) and Microsoft (MSFT), both companies that have traditionally been competitors. It even invited Microsoft on stage at its big iPhone 6S event earlier this month to demo Office for Mac. Apple recognizes that companies that use Microsoft Office don't want to switch to iWork. According to Cook, what they really want is Office on the Mac to work even better than it does on Windows. Cook and Levie, sitting on either side of an iPad playing a roaring fireplace app, cracked jokes during the friendly talk. "Who's tougher to negotiate with, Taylor Swift or Carl Icahn?" asked Levie. Cook responded with a tense laugh that went on a few seconds too long. Levie asked if Cook ever wanted to just find a mic and drop it, now that Apple has $200 billion in annual revenue. Cook said Apple hasn't even started yet. In the one week since it came out, the newest version of Apple's mobile operating system has already been installed on 50% of iOS devices. 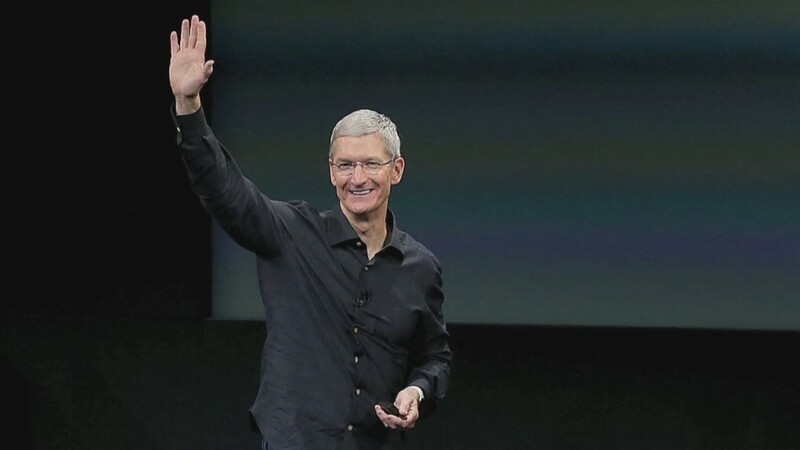 Cook said there are no plans to merge the Apple iOS and OS X operating systems. He also gave brief sunny plugs for two of the company's more beleaguered offerings, the Apple Watch and Apple Music. Though he didn't ask about recent car rumors, Levie did wonder if Cook was working on an airplane. "We don't have an iPlane," said Cook. "I think maybe one needs to exist, but that's not something we're even thinking about."